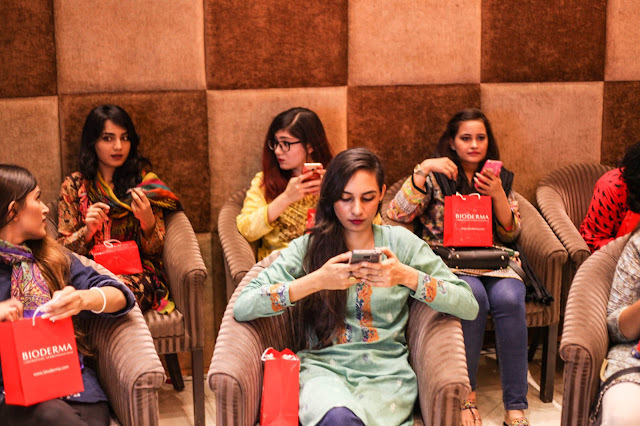 If you're following me on my snapchat so you may know that there was a great meet & greet for all the beauty bloggers in Karachi by Bioderma recently,yaaas we all know about Bioderma right? 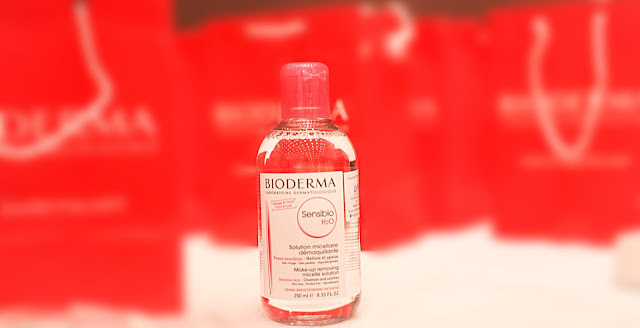 For all those who doesn't know about Bioderma's H20 makeup remover is the top choice of almost every other woman.I wasn't really sure that I should attend it or not because jetlag.... 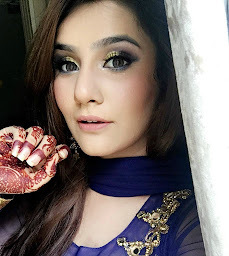 But I decided that I shouldn't waste the chance of meeting my all lovely fellow bloggers so I went there but I was a bit late so I couldn't enjoy the whole event. after that we tried a couple of there new products aswell which looked so tempting. 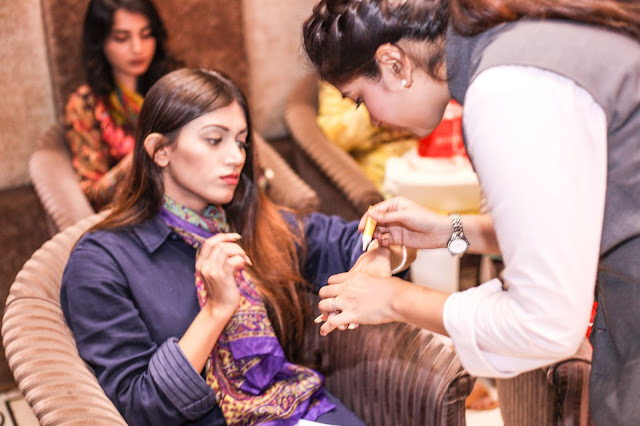 After that we had a skin testing sort of a session where they tested our skins & told us what products we can use to prevent extra oil & acne. 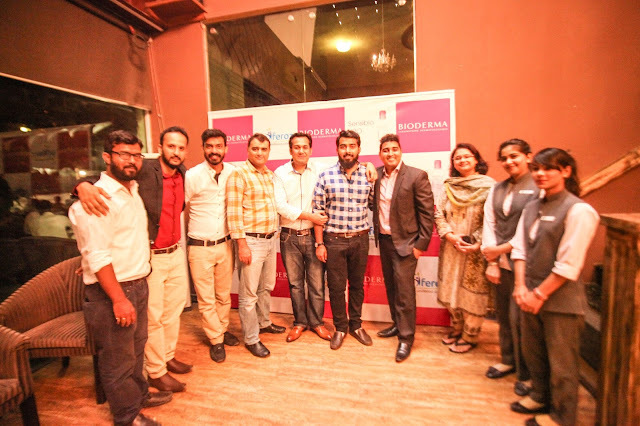 I must say the team of Bioderma was really sweet we totally enjoyed our time. I really appreciate such events. I hope they continue doing more events like that in future. 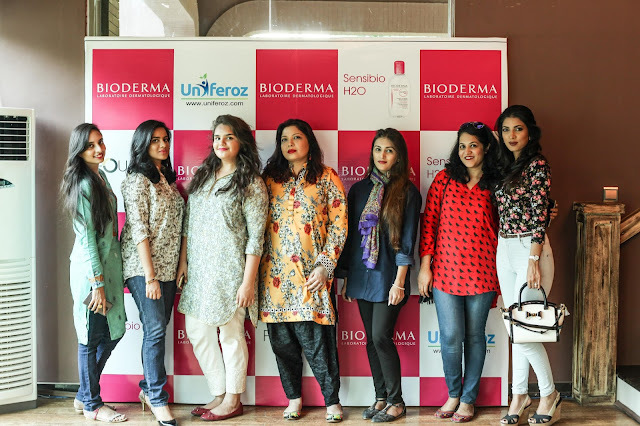 I hope you enjoyed reading this,I know you all love Bioderma! I mean who doesn't? Right?